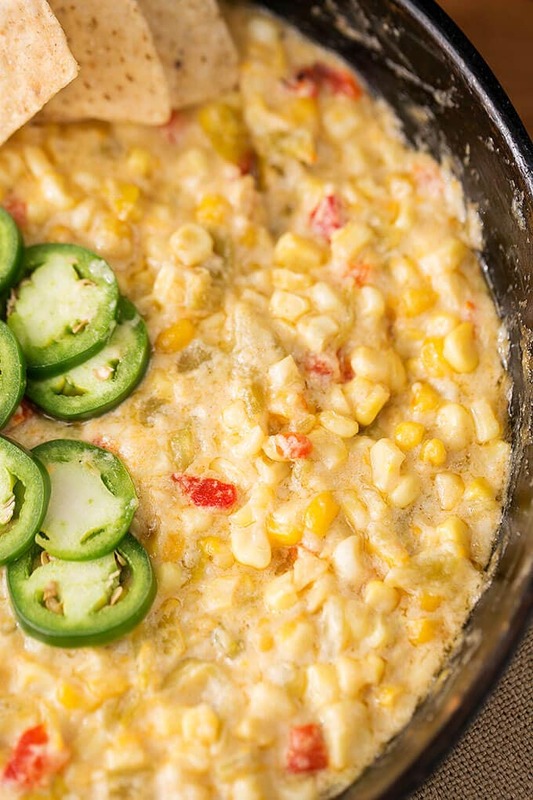 Grab your favorite tortilla chips to dip into this Hot Cheesy Corn Dip! This is a tasty party appetizer and a Game Day favorite! I love a good party, and all of the fun foods that get set out for everyone’s enjoyment! I find that once in a while I just crave an appetizer, and will search my pantry looking for just the right thing to make. We usually have either frozen or canned corn on hand, so this Hot Cheesy Corn Dip gets made fairly often. If you can make it with fresh kernels, it has more crunch to it, and fresh corn is always better! We love to go to Bob’s Corn every year and buy their amazing farm fresh corn! Paul might come home from work on a Friday, just to find a cold beer being handed to him, along with a bowl of this dip and some corn tortilla chips! Not a bad way to start the weekend! He hasn’t complained! I like to make this Hot Cheesy Corn Dip in my cast iron skillet, but you can use a glass baking dish if you want. 8″x8″ works well. Football season is soon upon us, so this is a great appetizer to add to your rotation of tailgate or in-home Game Day fun! 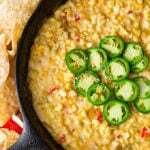 Hot Cheesy Corn Dip is a flavorful game day and party favorite. 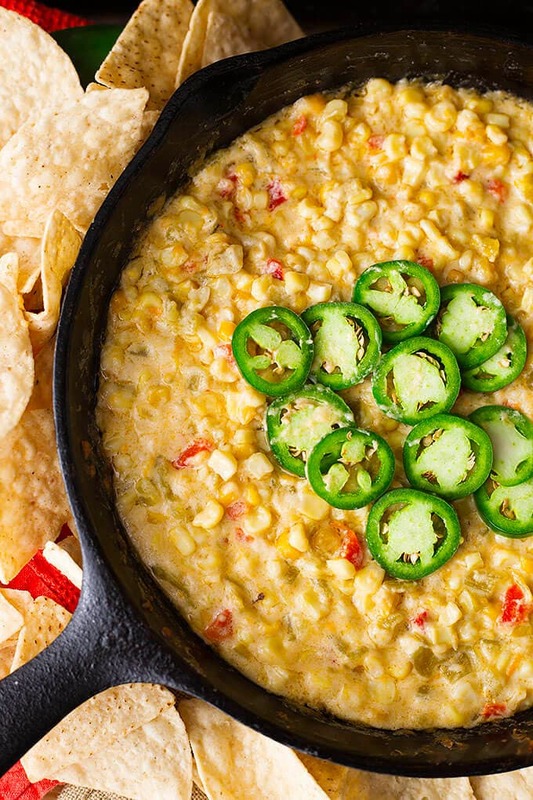 With corn, green chilis and cheese, we love this dip. Transfer to an oven safe dish (8”x8” or a 9” cast iron skillet works well). Bake uncovered for 35-40 minutes, until hot and bubbly. I made this for a friend’s barbecue and everyone loved it! There were no leftovers to bring home. I need to make another batch. Great recipe! I’m glad this was a success for the barbecue! Thank you for your review! This looks great. Can you adapt it to either instant pot or air fryer? I would try the air fryer.